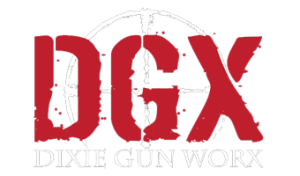 Dixie Gunworx is a Federal Firearms Licensee (FFL). In order to begin the transfer, we charge a $17.50 fee, which allows you to transfer up to 4 different serialized items. If you do not have a concealed weapons permit we also charge $7.50 for a background check. You can download our FFL transfer form by clicking the button below. Please make sure that all information, including your full name and phone number are completely accurate; this will make the process of completing the transfer easier for us, so that we can get your firearm to you as fast as possible.